The short answer is yes, baby-led weaning is safe…if done right. For many people, baby-led weaning can seem completely counter-intuitive. You’re going to give a six-month-old baby “real” food? To pick up and eat with his hands? Won’t he choke? When I talk about my new book Baby-Led Feeding with people who aren’t new parents, this is often their reaction. And it’s hard to blame them. For the past several decades, the process of starting babies on solid foods followed a predictable pattern. Parents would spoon-feed very runny rice cereal or fruit or vegetable puree into their baby’s mouth and continue like that, gradually thickening the puree and then introducing finger foods a few months later. Giving a baby pasta to palm or a broccoli floret to munch on can seem downright dangerous. But, the good news is that baby-led weaning from about six months can be perfectly safe, if done correctly. A 2016 study of of 200 babies found that children who self-fed were no more likely to choke than babies who were spoon-fed, provided they were fed safe foods and supervised. Always stay with your baby when he’s eating. Just because he’s feeding himself doesn’t mean you can leave the room. Your baby should be sitting upright when she eats. Make sure any foods you offer your baby pass the “squish test” and can be mashed with gentle pressure between your thumb and forefinger. 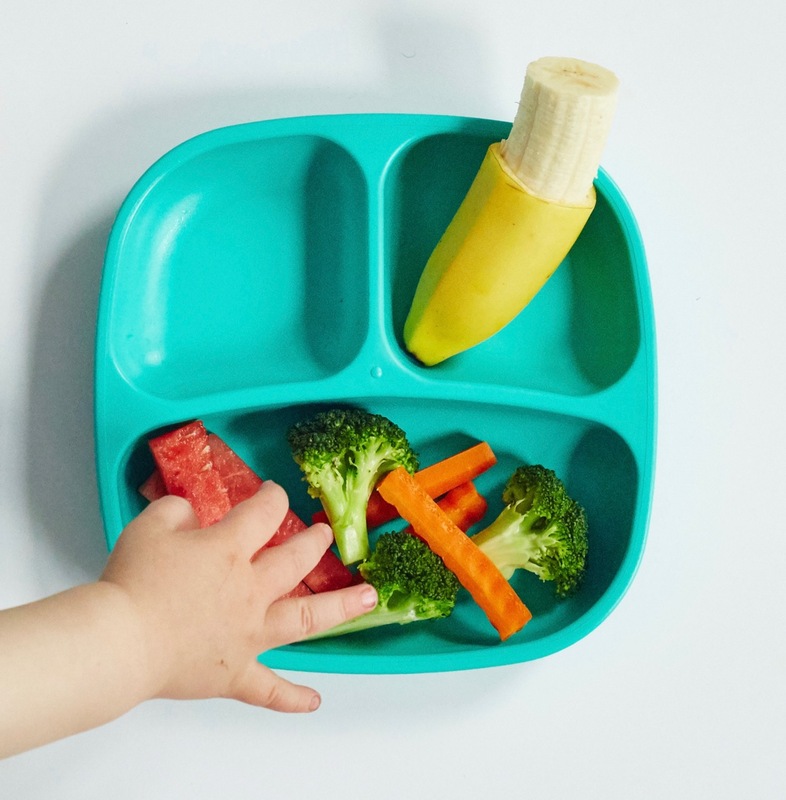 Offer your baby foods that are either cut into small pieces (about the size of your thumbnail) or long thin sticks (the size and shape of your pinky finger). Tender meatballs or patties are also appropriate. Avoid tough meats and hard, raw foods such as apples and carrots. Popcorn, whole grapes, gobs of nut butter, and whole nuts are other choking hazards. Learn infant first aid so you know how to handle a choking situation if it does occur. Make sure that all of your child’s caregivers understand these rules. 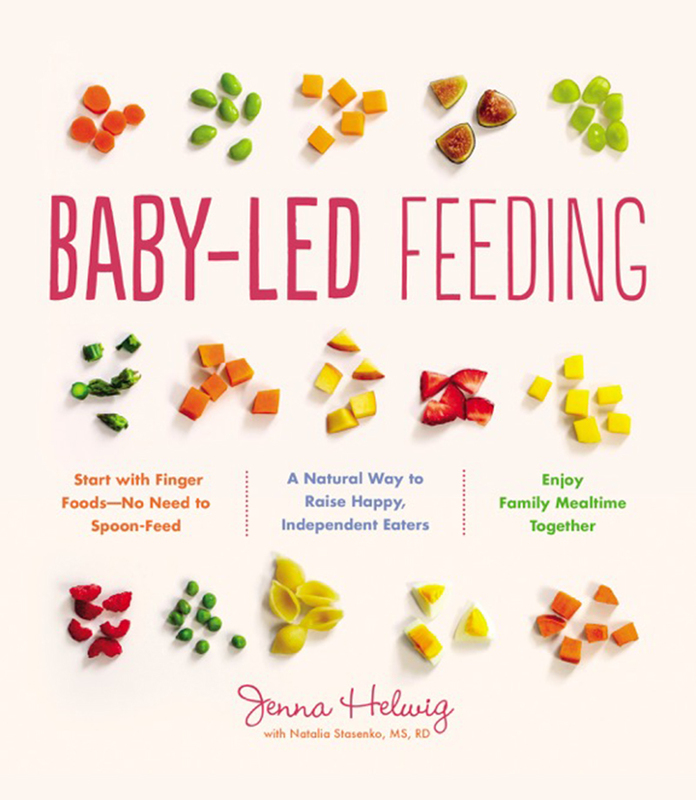 Sharing my baby-led feeding cheatsheet can help. Also, know that there’s a difference between gagging and choking. Gagging is a natural reflex that actually helps prevent choking by pushing food that babies aren’t equipped to swallow out of the mouth. Gagging can look and feel scary, but if your baby gags, stay calm. This is her body’s defense mechanism. Read more about gagging–when it’s normal and when you should be concerned. 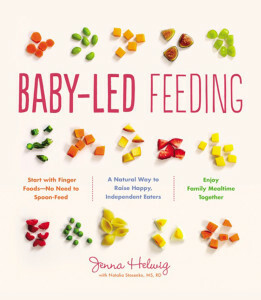 Got more questions about baby-led weaning? Check out this BLW FAQ I wrote for Parents, and of course, get your hands on a copy of Baby-Led Feeding. 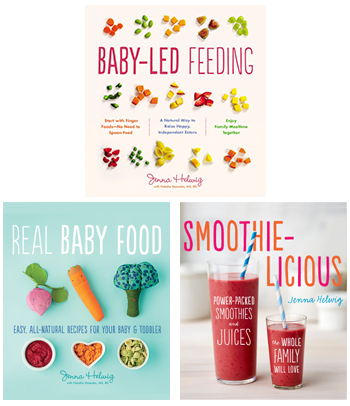 It’s packed with easy recipes, safety tips, and advice for making starting solids fun for both you and your sweet baby.